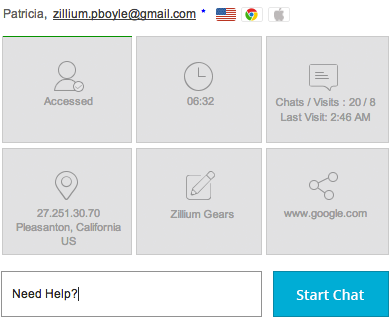 Connect Zoho SalesIQ with Zoho CRM and improve conversions via follow ups. Get better context via visitor information history. Add leads, contacts, follow-up tasks, and potentials right from the chat window. Live chat from the comfort of your couch or in the middle of a movie. Zoho SalesIQ supports both mobile and tablet devices, so you can connect with your prospects and customers on the go.